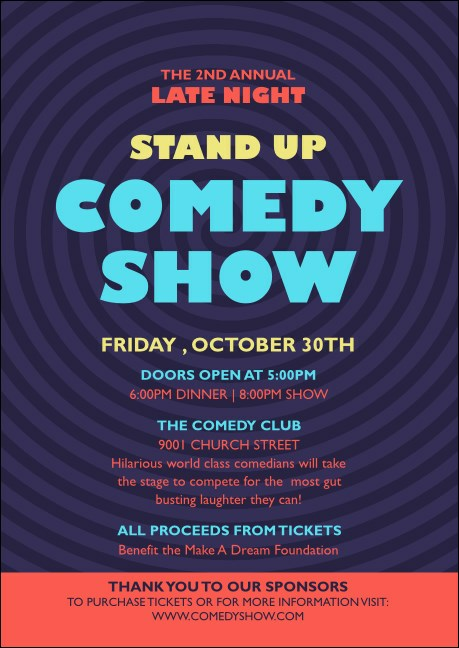 Make the most out of your stage time and encourage your entire guest list to come to your next gig when you send out personalized Comedy Spirals Club Flyers in advance. These Club Flyers feature a cool spiral background design and give you space to include as many as eighteen lines of multi-colored text. TicketPrinting.com helps you make your shtick stick!